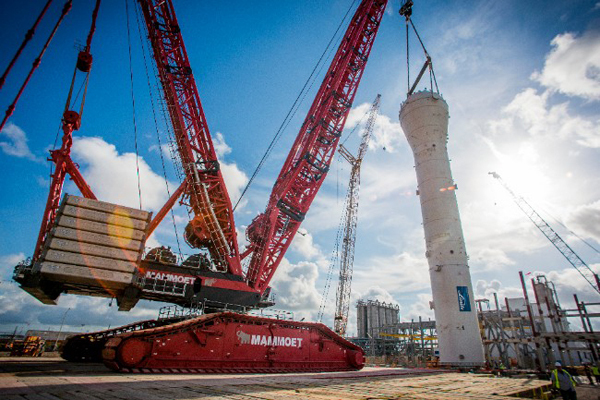 Mammoet has safely installed two reactors using a LR13000 crawler crane inside a Gulf Coast polypropylene plant currently undergoing an expansion. Following the project’s expected completion in the first quarter of 2020, the expansion will increase the site production capacity by an additional 450,000t a year. Due to the LR13000’s high lifting capacity, only a boom change was required to streamline lifting from one location, saving both space and time for other work taking place inside the plant. 725 tons and stretched 49m long. 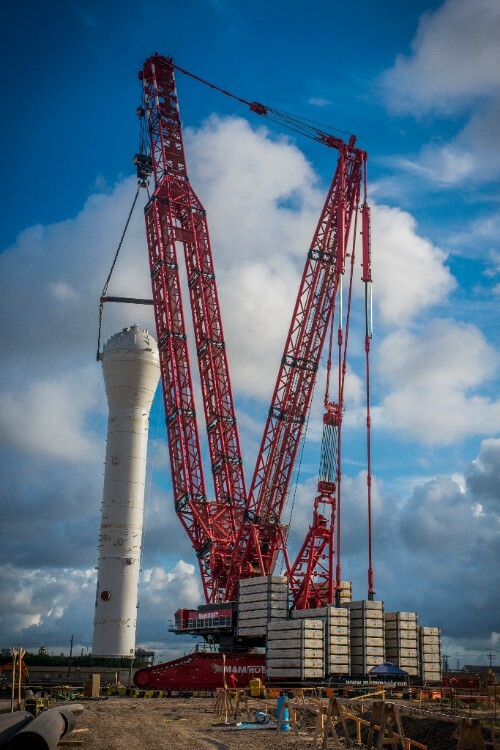 These lifts were executed successfully with tailing help from one of Mammoet’s Terex CC2800 crawler cranes. The crane remains on site for a second round of lifts to take place in mid-July.